Royce will also be a panelist: "TV & FILM INDUSTRY IN HOLLYWOOD!" The PANEL will be held at the Hilton Hotel (East) Saturday April 30 from 2:30 pm - 4:00 pm. She will also be at the Hilton Hotel (East) Friday April 29 & Saturday April 30 from 4:00 pm - 6:00 pm signing her new book. RSVP @ 901-680-2018 FREE with VIP All Access Pass or book purchase. Michael Higgenbottom, star of ‘The Grace Card’, will make an appearance at the festival. Michael will be a panelist on the "TV & FILM INDUSTRY IN HOLLYWOOD!" The PANEL will be held at the Hilton Hotel (East) Saturday April 30 from 2:30 pm - 4:00 pm. RSVP @ 901-680-2018 Cost of tickets $25 (will include one free film). Michael will also Co-Host the "ARTISTS NETWORKING SHOW!" at the Hilton Hotel (East) Sunday May 1 from 6:00 pm - 9:00 pm. $10/ $25 for Performers. FREE with VIP All Access Festival pass. 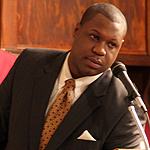 Johnnie Walker, Executive Director of the Memphis & Shelby County Music Commission. 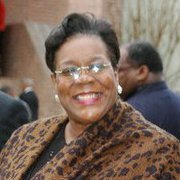 Ms. Walker will be on the panel: 'Music in Film' @ the Malco Ridgeway Four April 28 from 5:00 pm - 6:30 pm. 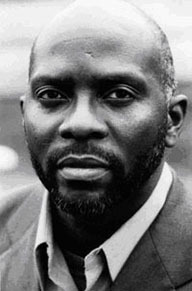 Alvin Moore, BET screenwriter of ‘A Mother’s Prayer’ starring Robin Givens, Johnny Gill and Shirley Murdock. Mr. Moore will be a guest at the 'Poetry & Jazz Affair' @ Hilton Hotel (East) Thursday April 28 from 8:30 pm - 11:00 pm and the Screen Gem's Special screening of Angela Bassett's new film, 'Jumping the Broom' @ the Malco Paradiso at 7:00 pm. Andrea will also conduct workshops in: "SCREENPLAY WRITING" & film basics and "FICTION WRITING" at Hilton Hotel(East) Thursday April 28th - Saturday April 30th RSVP @ 901-680-2018 Youth/$10 & Adult/$25. For more info click https://www.aroundthewaypublishing.com/Events_Staff.html Paypal accepted. Groups call for more information. 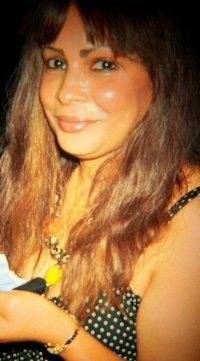 Rosalyn will make an appearance at the 'Artists Networking Show' on Sunday May 1 from 6:00 pm - 9:00 pm @ the Hilton Hotel (East). Please register by calling 901-680-2018. Barry Bowles is Director, Writer and Producer. 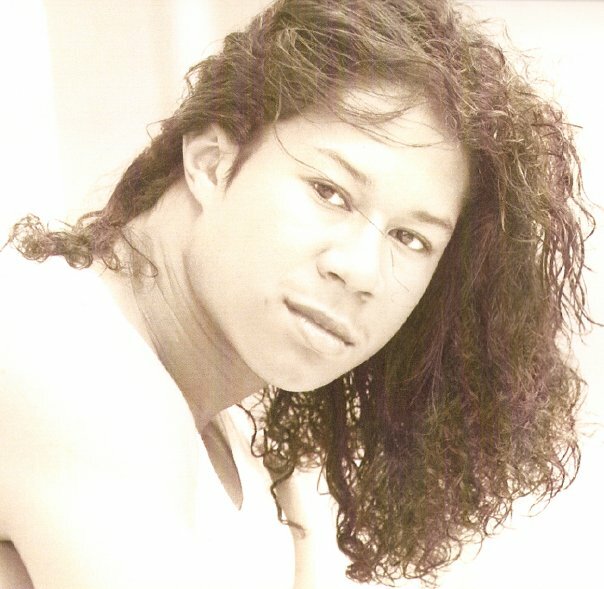 His latest projects include: "Friends With Benefits", a stage play, and "Contradictions." Barry will be a panelist on the "PROMOTIONS & DISTRIBUTION INDUSTRY." The PANEL will be held at the Malco Ridgeway Four Theater Friday April 29 from 4:00 pm - 5:30 pm. RSVP @ 901-680-2018 FREE with VIP All Access Pass. 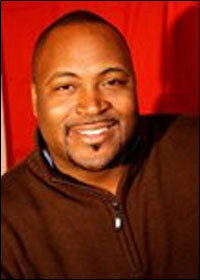 Dennis Reed II is the National Best-Selling author of ‘He Said She Said’ and the hit stage play of the same name. He is presently on a national theater tour with an all-star cast. His newest play Cheaters is based on his book True Law? Dennis will be a panelist: "TV & FILM INDUSTRY IN HOLLYWOOD!" The PANEL will be held at the Hilton Hotel (East) Saturday April 30 from 2:30 pm - 4:00 pm. RSVP @ 901-680-2018 FREE with VIP All Access Pass. 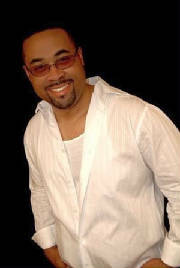 Myron Mays, on-air personality on Memphis’ WRBO Soul Classics 103.5. He also serves as the weekly entertainment columnist for the Memphis’ only African American newspaper, The Tri-State Defender. 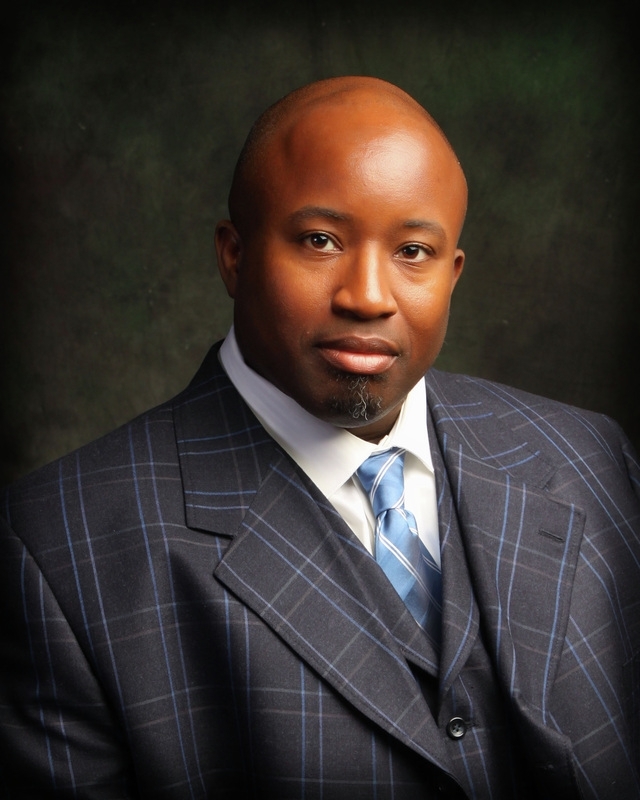 Myron will be the Panel Moderator for: "TV & FILM INDUSTRY IN HOLLYWOOD!" The PANEL will be held at the Hilton Hotel (East) Saturday April 30 from 2:30 pm - 4:00 pm. RSVP @ 901-680-2018 Cost of tickets $25 (will include one free film). FREE with VIP All Access Festival pass. 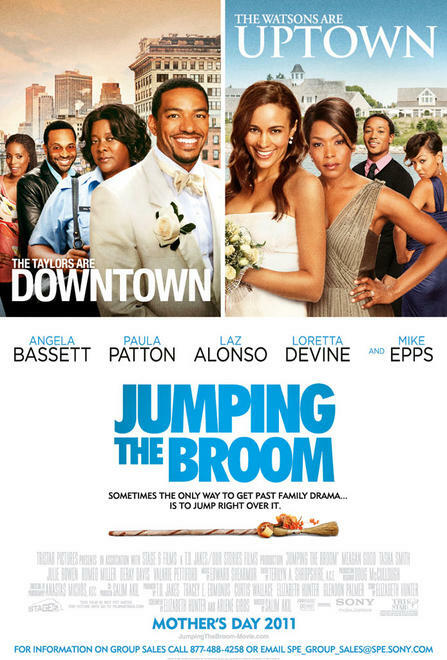 “JUMPING THE BROOM” -Cast: Angela Bassett, Paula Patton, Mike Epps, Loretta Devine, Meagan Good, Tasha Smith, Romeo Miller, and Pooch Hall.-Screen Gems Special Screening at the Malco Paradiso Thursday April 28 from 7:00 pm - 9:00 pm. RSVP @ 901-680-2018 Cost: (FREE with VIP All Access Pass or POETRY & JAZZ ticket). (NO MORE TICKETS!) Call the office to confirm 680-2018. **2nd Screening of 'Jumping the Broom' on Wednesday May 4 @ the Malco Paradiso- Please call 901-680-2018 to RSVP. “STILL BILL”- Dir: Damani Baker 'Untold story of music legend Bill Withers' will screen at the Malco Ridgeway Four Thursday April 28 from 7:00 pm - 8:30 pm. RSVP @ 901-680-2018 Cost: $15 (FREE with VIP All Access Pass). 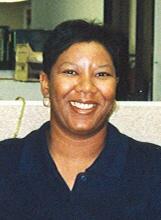 'Oprah Winfrey, The New York Times, and ABC Nightline have all reported that 70% of black women are single. But this group of friends never thought they would be part of the statistic. As they prepare one friend for ‘I Do’ and another for divorce; secrets, lies, and betrayal threaten to derail the wedding. As they each struggle to hold on to their relationships the women can’t help but wonder if it’s even possible to find lasting love, especially for a black woman? “Contradiction of the Heart”, starring Wendy Raquel Robinson, Malcolm Jamal Warner, Lisa Raye, Clifton Powell, and others will screen at the Malco Ridgeway Four Friday April 29 from 6:30 pm - 8:00 pm. RSVP @ 901-680-2018 Cost: $20 (FREE with VIP All Access Pass). 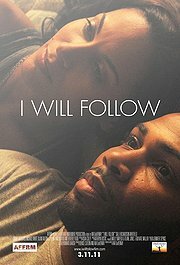 “I WILL FOLLOW” by Ava DuVernay, with Salli Richardson-Whitfield, Beverly Todd, Omari Hardwick, Michole White, Blair Underwood. will screen at the Malco Ridgeway Four Saturday April 30 from 5:30 pm - 7:00 pm. RSVP @ 901-680-2018 Cost: $20 (FREE with VIP All Access Pass). “Count It All JOY”, a Christian-based film, will screen at the Malco Ridgeway Four Saturday April 30 from 1:00 pm - 2:30 pm. RSVP @ 901-680-2018 Cost: $20 (FREE with VIP All Access Pass). *Ellis Fowler is a director, actor, writer and graphic designer. He will screen, “Memphis Movement – Jookin: the Urban Ballet”, a feature length documentary about a decades-old dance style that is unique to Memphis, TN. Ellis will screen his film at the Malco Ridgeway Four Sunday May 1 from 2:00 pm - 3:30 pm. RSVP @ 901-680-2018 Cost: $10 (FREE with VIP All Access Pass). 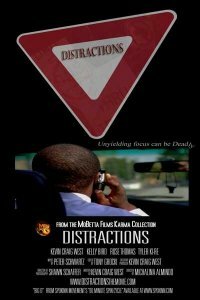 Kevin Craig West's award-winning short film, “Distractions.” will screen at the Malco Ridgeway Four Sunday May 1 from 3:40 pm - 4:00 pm. RSVP @ 901-680-2018 Cost: $5 (FREE with VIP All Access Pass). Dr. Bell encourages youth and speaks on urban issues in his new children’s book, ’I Think I Can Be A Doctor.’ He will perform at the Vip Breakfast at the Hilton Hotel (East) Saturday April 30 from 8:00 am - 9:30 am & at the other venues. RSVP @ 901-680-2018 Cost of tickets $49 (will include one free film & free gift). 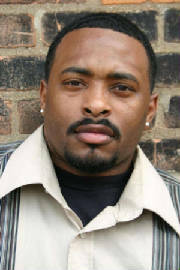 Tony Insignares, Actor and Poet, will co-host: "THE POETRY & JAZZ AFFAIR!" The event will be held at the Hilton Hotel (East) Thursday April 28 from 9:00 pm - 11:00 pm. RSVP @ 901-680-2018 Cost of tickets $10/ @25 (Performers). Jae Henderson, radio talk show host, marketing and media professional, freelance writer and voice over artist, makes her debut as a Christian/inspirational romance author. Her debut novel, Someday, is part of the, I’m A Good Woman series. Jae will co-host: "THE POETRY & JAZZ AFFAIR!" The event will be held at the Hilton Hotel (East) Thursday April 28 from 9:00 pm - 11:00 pm. RSVP @ 901-680-2018 Cost of tickets $10/ @25 (Performers). Jae will sign her new book 'Someday' on Saturday April 30 from 12:00 pm - 2:00 pm @ the Hilton Hotel (East). Please register by calling 901-680-2018. www.imagoodwoman.com. 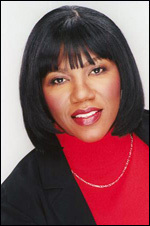 Deborah Manning Thomas, Singer/actress, began singing at age six in her home church of Golden Leaf Missionary Baptist Church. She performed the title role in a hit musical about the life of late gospel queen Mahalia Jackson during Black History month. Deborah will solo @ the VIP Breakfast & Movie at the Hilton Hotel (East) 8:00 am - 9:30 am. Mr. Ross will speak to Independent filmmakers and movie buffs on the subject: "INDEPENDENT FILMMAKERS: HOW TO NAVIGATE THE HOLLYWOOD SYSTEM!" The seminar will be held at the Malco Ridgeway Four Theater Day Month ## from 0:00 pm - 0:00 xm. Danny will lend insight from an actor and screenwriter’s point of view, from having the right script and pitch, to building professional relationships that will attract agents on Day Month # @ The Hilton Memphis- East Hotel from 0:00 pm - x:00 xm.